Brunswick 4WD Tracks are a lot of fun in the dry, and considerably more challenging in the wet. 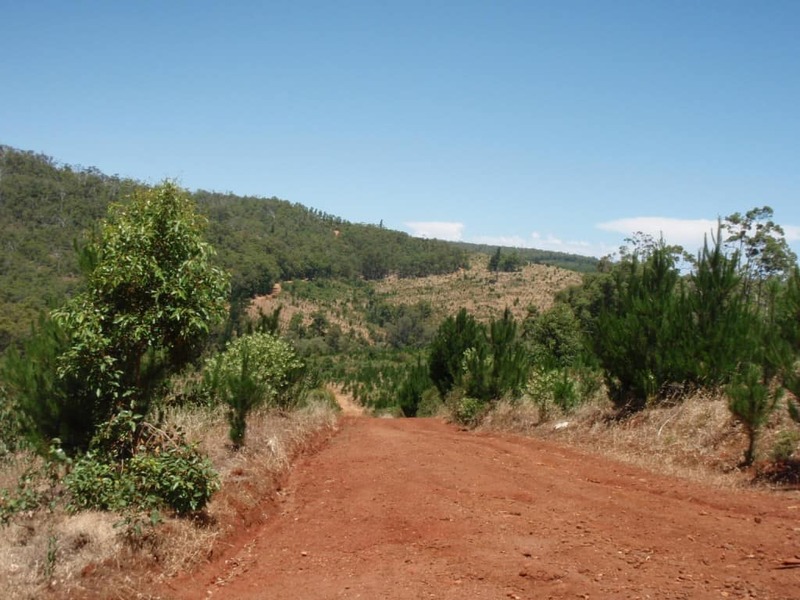 It is very similar to the Mundaring Powerlines Tracks and Dwellingup with many steep hill climbs and lots of mud after heavy rainfall! The 4WDing starts just out of Brunswick Junction. Much of the 4WD Tracks can be done by a fairly stock car, with the harder bits and pieces being optional. In fact, if you wanted to camp in the area you could probably do it in a two wheel drive car (in the summer only!). There are some amazing places to stop and take photos, as well as a number of secluded camp sites for those who want a cheap weekend away with a bit of peace and quiet! Where are the 4WD tracks in Brunswick Junction? The main tracks that people refer to start near Brunswick Junction. 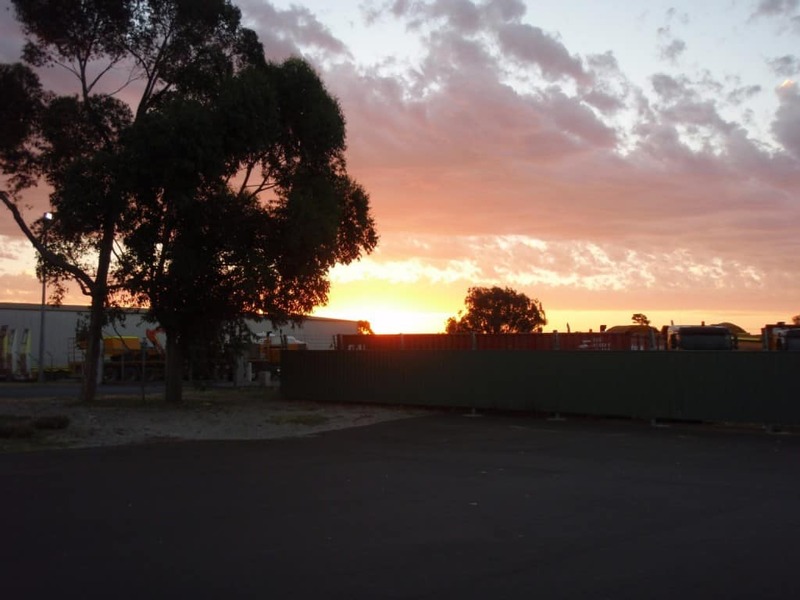 To get to Brunswick Junction from Perth, you simply head south on the Kwinana Freeway. With the new Forrest Highway, which extends the Kwinana Freeway right down to Bunbury the trip is much shorter. We made it down to Brunswick Junction in about an hour and a half, and the highway is smooth and fairly straight. You turn off left at Clifton Road off Forrest Highway which takes you into the middle of Brunswick Junction. The roadhouse for fuel and inflating. Beela Road is the next road that you need to find, which is located in the middle of town heading east, and there is a plastic cow which makes it quite obvious. Cross over the railway line, and head along the road, then take your second left after the gravel starts (Flynn road) which crosses over the railway tracks. Flynn road is signposted, and the railway tracks should be very obvious as. You follow Flynn Road over a bridge, and turn on the first right, which is where you should let your tyres down. 500 metres down the road there is a mud puddle on the right and then a few hill climbs on the left. There are a number of mud holes on top of the hill climbs, and bobs hill is marked with several tyres at the bottom. The whole area is packed with a large number of hill climbs, river crossings and camping locations. 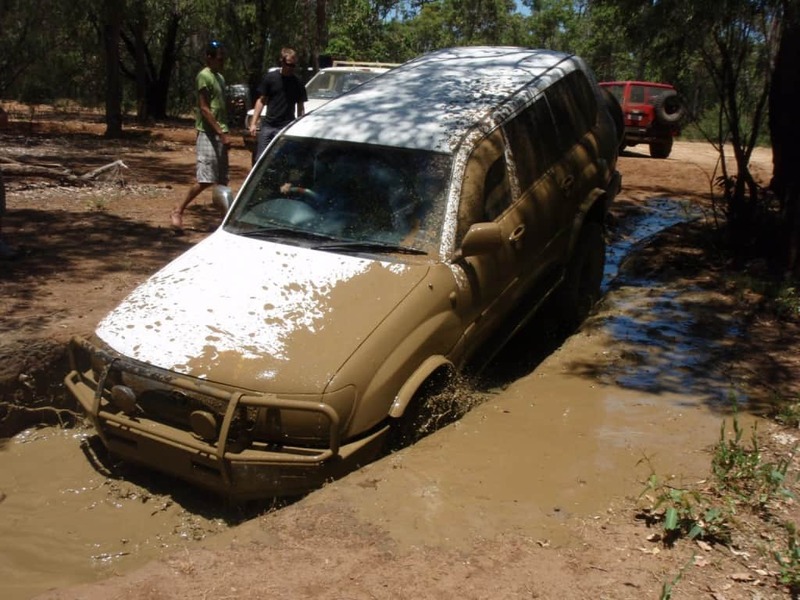 You can drive around the area fairly quickly, and the water crossings are not very deep in summer. In winter, this is another story! The tracks are very obvious, and there are more than enough to enjoy. If you are going in winter, you really need a good set of Mud Terrain Tyres. If you don’t have these, its dangerous to attempt the hill climbs or even descents as the mud is deceptively slippery! Bob’s hill a notorious hill climb, and only those with serious panel protection, big tyres and lockers should attempt it. There are massive rocks which will do a lot of damage to your panels if you land in the wrong place. 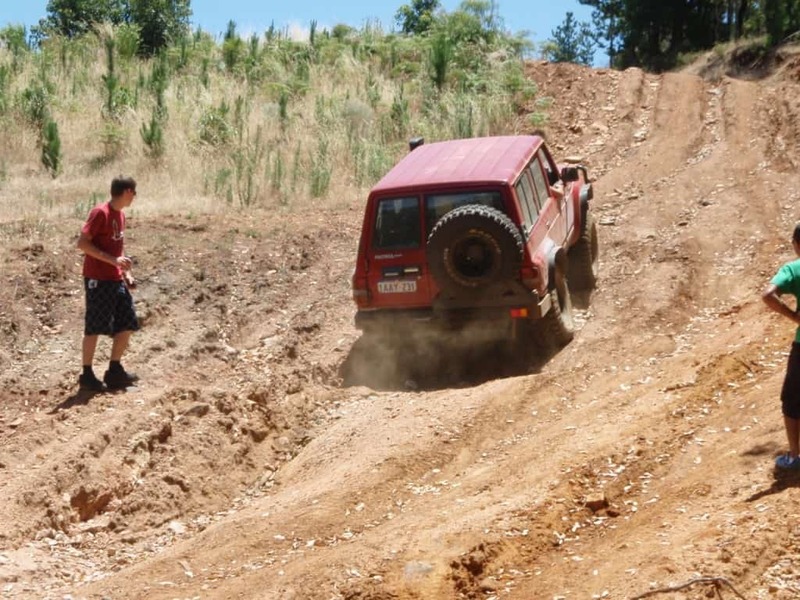 We had several vehicles with 35 inch tyres and big lifts trying the hill, without much luck. Of course being more conservative we tried not to damage any panels (and still managed to dent a door and rear bumper in! 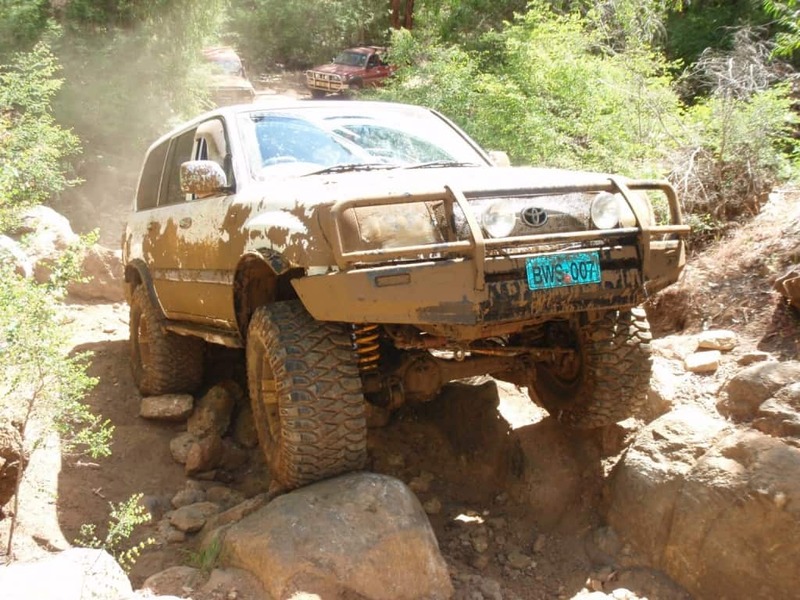 ), and none of us had Rock Sliders. To get back to Brunswick Junction is not much more than a 20 minute drive, assuming nothing is broken on the car. In saying this, it’s best to take everything that you need plus spares so that you don’t have to break the day up. This includes water, tools, oils, coolant, silicon spray, tarps, food, maps or GPS, camping gear (if camping), a camera, plenty of high quality recovery gear and your usual spare parts. Plenty of recovery gear is a good idea! We found having screenshots of Google Earth in the area were very handy as well. Silicon spray and a tarp are only really needed in the wet if you choose to cross any of the rivers. If you are doing any serious 4WDing, I can’t stress the importance of bringing spare parts and plenty of tools. It’s not unlikely that something will break, and it pays to be prepared. We had overheating issues, alternator problems, wheel nuts coming loose and radiator issues, but together with a lot of tools and parts we managed to get home safely and have a great time. Brunswick Junction has one petrol station that has a paid compressor. It has diesel and unleaded, but no gas. The prices are only about 15 cents more a litre than Perth, which is good. The nearest gas is either at Harvey (20 kilometres north) or along the Perth to Bunbury Highway (which tends to be cheaper). The tracks around Brunswick won’t use up a huge amount of fuel, but filling up in Perth before leaving is a smart idea. 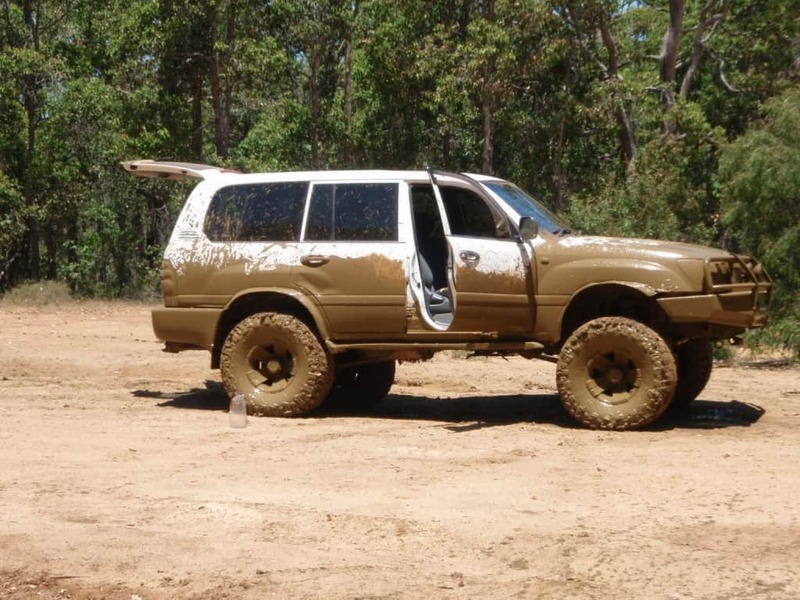 The average 4WD would probably use 50 – 80 litres of fuel driving from Perth to Brunswick, spending all day driving and then getting back to Perth. This makes for a fairly cheap day, which is fun for all! We saw a few people camping at Brunswick Junction in various places, and the camping is free too. There are a number of great places to stay which are protected and close to a good water supply. There are more than enough trees to provide shade when it gets very hot in summer. Supplies are easy enough to get if you run out of anything, and there are not many people that go to Brunswick Junction, which makes it peaceful too! Whilst there may not be much to do, its still a relaxing weekend away. 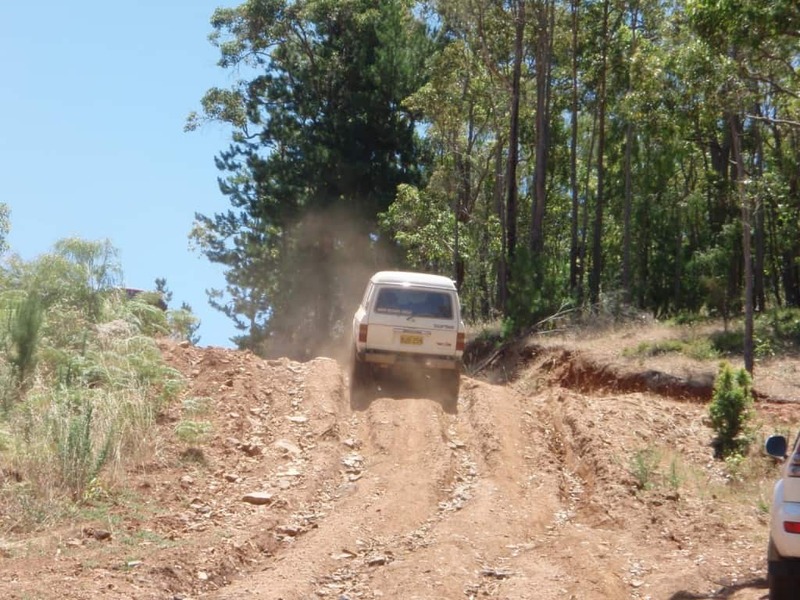 There is plenty of 4WD Tracks in Brunswick to keep you occupied! We did see a few people there on motorbikes, and a number of Campers had them as well. I am unsure as to whether or not you are allowed motorbikes in the region, but you can find out by ringing the local ranger. 4WDing in the area is permitted as far as I am aware, but check with your bikes before you have to pay any money to the rangers! The river (or creek in summer) is great for swimming in. We saw a number of little fish and marron, and managed to find an area just over a metre deep, where you could get fully soaked. Of course in winter the level would be much higher. Quite a few of the bridges have good camping areas and great places to swim. On a hot summers day there is nothing better than jumping in the water to cool off! 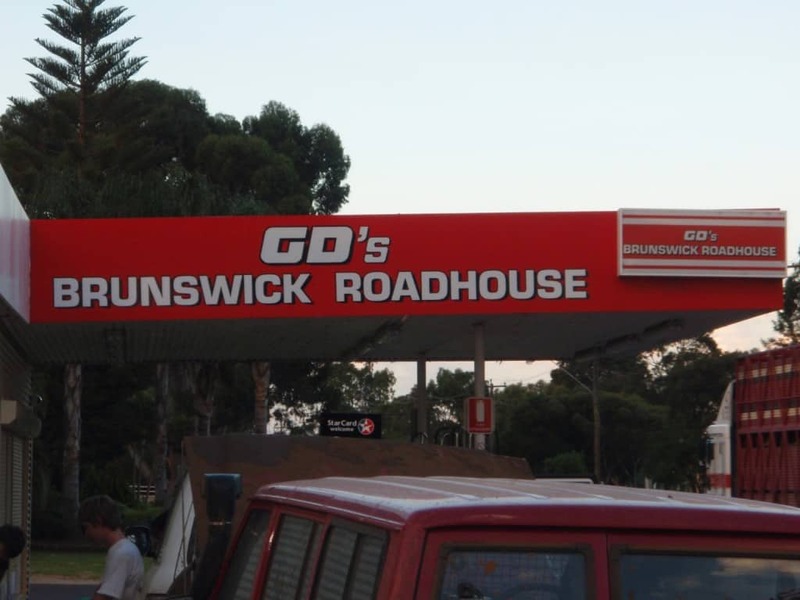 We had a great time at Brunswick Junction, and being so close to Perth it’s easily accessible for just a day trip. It was awesome in summer and I bet even more fun in winter, as long as you are prepared. In terms of your options for Four Wheel Driving in Perth, Brunswick Junction is probably the top of the list for me. I would highly recommend it for a day trip or even a few days away. The results of a great day out! Fairly superb article, very educational information. Never thought I’d find the information I want in this article. I’ve been scouring all over the internet for some time now and was starting to get discouraged. Thankfully, I happened onto your internet site and received exactly what I was searching for. Great informative article on Brunswick tracks. Gave me the info I need to lead a trip down that way. Other sies gave me partial or incomplete info, this is great. Well done! It’s refreshing to hear about new places. I know the locals will be saying ..new?? ?…but I’ve read lots of mags and visited many spots in WA, but not Brunswick! I’m heading there tomorrow just for a look-see on my way further south. I might spend more time there in a week or so. Have you thought about including GPS co-ords for any of the notable spots? I’m a GPS tragic, just love playing with maps and gadgets. Thanks for the comment mate. I would love to add GPS points, but to be honest I don’t own one yet! You can be sure when I do get one that I will add points though! You follow Flynn Road over a bridge, and turn on the first right. According to a map im looking at the 1st right would take you into a farm? im wondering is it were theres a t-juntion in the rd and the rd names change were we would turn rightz? If you could please help that would be great other than that evrything else is spot on. I need to buy a GPS! I have spent the last 30 minutes trying to find it on google earth and nearmap, with no luck. I can’t for the life of me find the right tracks! I am very sorry – just follow my directions on the post as far as you can go and see where it takes you! 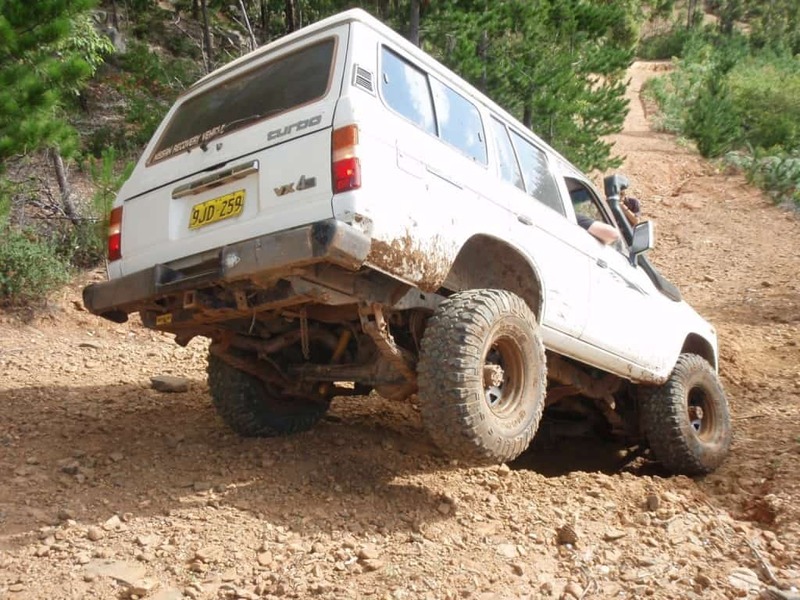 Great website guys, our family are looking at getting a 4×4 but wanted to check if there’s still any decent tracks in WA. Looking at getting a Jeep Rubicon, can’t wait to check out the areas you recommend. Other sites don’t give the intimate detail you guys do. Congrats !! Thanks for the comment – this work is done by myself. There are plenty of great places to explore in WA, and a Rubicon will be a great vehicle to see it in. Have fun and keep me up to date with your trips! Web site is full of great information thankyou. 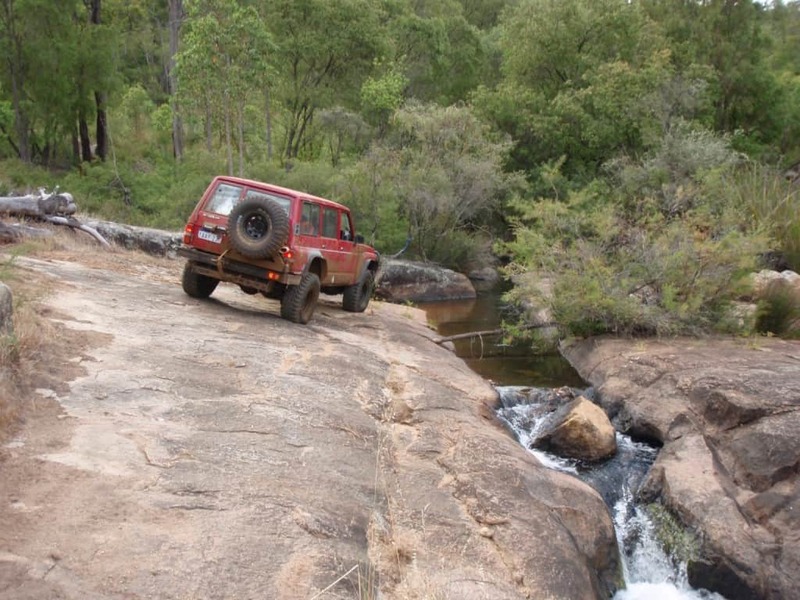 Going 4X4 with mates around Brunwick and considering camping around the area. You mentioned a couple of camp sites. Do you recall where they are gps locations or anything. Thanks for the comment :). I haven’t bought a GPS yet – so I can’t give you any coordinates. The area isn’t that big; I would suggest just driving around the tracks a bit and finding a camping spot that looks good. People tend to camp wherever there is space! If you turn right and cross over the little creek (as you first enter the tracks) there is a few mud runs and plenty of space to camp. Hi Aaron, we just checked the tracks out yesterday. Part of the track was washed out or too muddy so had a closed sign but there were still a few hills for us to have fun with! It was quite muddy and we were alone so worried about getting stuck but it was all good! Thanks for a great article, the directions were easy to follow! I imagine after the rain it would have been pretty slippery! There are heaps of good tracks out that way, in between Dwellingup/Brunswick Junction/Harvey. I’m glad you enjoyed yourself!